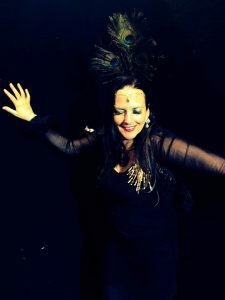 Sound Priestess, Lou Van Stone channels conscious divine music from deep in the earth and high in the heavens and sings it gently into the core of your being. This transcends singing, it is Sonic Surgery. Penetrating deep into your cells, leaving them dancing and vibrating with light . In her Celestial Sound Healing Voyage sessions in the Sound Temple Lou Van Stone channels personal messages for each person through the language of light and sound. A hypnotic and deeply moving musical experience.